A professional looking website is the face of every business. While being in tourism sector, the travel companies and tour operators require managing lot of itineraries and of course present those packages to guests in a professional manner, through their website. Similarly, from a customer point of view - with too many travel portals around, the guests look for websites that are one-stop solution for all their travel needs. Guests prefer sites, where they could search for different itineraries, packages with less effort and even post enquiries directly to the company. In order to serve the needs and wants of travelers, the travel companies and tour operators require working with nothing but the highest quality website, which they could use for dynamically controlling all the content of their site. The WebCRS TourCMS is an answer for travel companies that require publishing lot of tour itineraries and packages on their site on a daily basis. Site content management is not a one-day affair, as it is a continuous process, which requires too much of time and labor. Hence, the travel companies need to go for WebCRS Tour CMS to have more control of their website and the content across all the pages. By adopting Tour CMS, the companies would be able to manage all their itineraries and packages, with less effort, without requiring any technical knowledge or expertise. With the TourCMS, the travel companies and tour operators would be able to upload and manage as many itineraries they want from a single platform. Both basic and advanced versions of WebCRS Tour CMS are available, which the companies could use to publish itineraries with and/or without price values to manage their content. On the user front, the guests (using the Tour CMS supported site) would be able to search and map itineraries effectively, request brochures up-front from companies to plan holidays and dynamically create different tour packages, at ease. Thanks to the technology effectiveness, the Tour CMS from WebCRS is a huge success already in the travel and tourism market and is one of the favorites of travel companies across India. Travel companies that used the Content Management System (Tour CMS) of WebCRS have been able to overcome business challenges and enhance organizational efficiency. For more details, contact info@webcrs.com. In a cutthroat market, to keep going - every business needs to have a competitive edge over contenders. The scenario in the Hospitality and tourism sector is nothing different, where lot of players can be seen battling for customers and for the bigger market share. Unlike before, with too many Hotels around competing with each other, the customers have a lot on platter to choose from and almost everyone today has the tendency to select nothing but the best service providers in the market. Price was, has been and would always be a prime concern for customers. Earlier when the choices were limited (in terms of service providers), the customers had no option than going for whatever they used to get in the market at the FIXED price asked by the suppliers. However, with the change in market scenario and entry of new players (and the trend is continuing), the customers have the power and they are the ones that have the final say in everything. In such a scenario (in an exclusive buyer’s market), it becomes imperative for Hotels (companies) to be flexible in/with their approach towards customers. Irrespective of income group or standard of living, every customer has concerns about pricing. Who does not like best deals in anything? The customers would always look for highest quality products/services that come with the best price tag. The Hotels that befit the requirement of customers with respect to quality and pricing have fair chance of winning them, at the first place. In order to price better and win customers to their business, the Hotels need to know what their competitors are doing and what their pricing or customer strategies are. Watching and following business rivals is very important, because if both (hotels) are offering similar quality services and if one has a better pricing then customers would go with that supplier where they are getting better deals. Hence, to avoid losing customers to business rivals, hotels need to stay ahead of competitors and try to keep a close eye on all the business rivals (small and big) they have in the market. Doing market research and analysis would always help in knowing the number of competitors one has and about their strengths and weaknesses. Hotels need to evaluate all the aspects of their competitors, as this would make them compare their business with others and devise better strategies, accordingly. 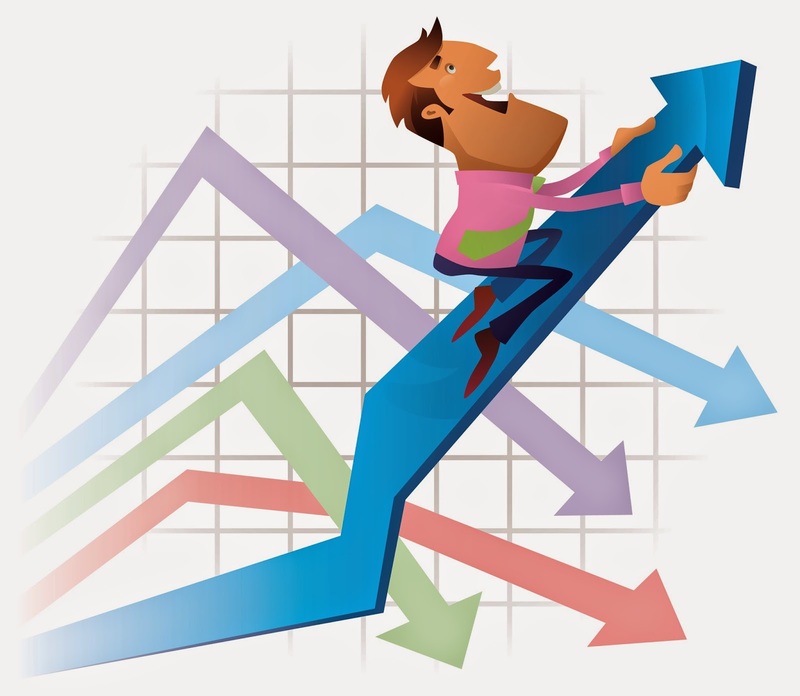 In a business deal, at the end – it is ‘better pricing’ that scores over everything else. Hence, hotels need to know how their competitors are targeting customers and what their pricing strategies are. Visiting websites of all the competitors or comparing the price in all the portals on a routine manner, to know the offerings or prices is not an easy job, as it incurs lot of time and labor. However, hotels can overcome this challenge now, by adopting the WebCRS Market Watch technology, using which they would no longer require visiting hundreds or thousands of websites of where the competitors have displayed the rates and availability. Kuoni - the Zürich, Switzerland based Travel Company chooses to move out from tour operating activities in the Indian market. The company plans to concentrate efforts on its core business as a service provider, to the worldwide travel industry, governments and be a leading B-to-B player. In the new set-up, Kuoni plans to reform its business in three divisions, viz. 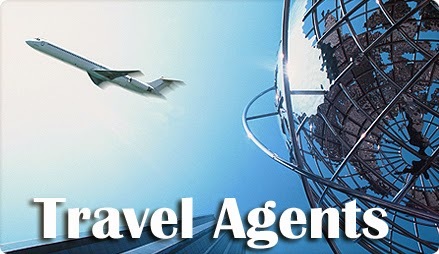 Global Travel Services, Global Travel Distribution and VFS Global. Long-standing growth is in the agenda of Kuoni, as the firm looks ahead focusing more on attractive and potential markets like Asia, Africa and the Middle East. The travel and tourism sector has been constantly changing, with more and more companies going digital, to harmonize with the current market trend. Companies that are doing business still the traditional way are having the tough time, in the segment. As the travel portals equipped with most-recent technology have started generating good business, many companies that used to follow the conventional approach felt the need of redefining their business models. The tour operating business of Kuoni was one, which got ‘affected’ the most by the changing market scenario in India. (Before divestment) The firm generated revenue about $2.15 billion in 2014 from its tour operating business. The market did not affect Kuoni only, as even the British global travel company, Thomas Cook moved out from the Indian travel business, recently, signaling the threats that many foreign enterprises now feel from the local (Indian) companies. Kuoni entered the Indian market in 1996, by buying 51 percent of stake in SOTC (which was already an established firm, then). In 1997, it acquired 100 percent of SOTC and established an identity as Kuoni Travel India. Sita World Travel joined the brigade of Kuoni in 2000 and the latter became one of the largest travel companies, in India. To address travelers in the Middle East market, Kuoni acquired the destination manager ‘Tour Club’, further. During the course in the Indian market, the firm even launched FIT holidays for individual travelers, entered the domestic tourism segment with SOTC Holidays, opened an academy, initiated its luxury holiday brand in India and got hold of Distant Frontiers (in 2006). After plans to divest the tour operating business in India, Kuoni expects to make profits through the reduced portfolio that it has now, comprised of Sita, Distant Frontiers and VFS Global. For last minute hotel deals and offers, travelers most often rely on mobile apps, as the applications at all times help them in finding the best hotels for accommodation, in various destinations. Whether to search by location (city or landmark) or to find the hotel properties nearby any region, the hotel booking apps make it easier for the travelers in finding the best properties. Similar to any booking website, the hotel booking mobile apps help the travelers filter the results based on price, hotel amenities and other attributes. To serve the needs of guests, various booking sites in the market have started collaborating with big and small hotels at various destinations; so that guests using their booking apps get to find information about all the hotels at one go, without the need of going to other booking sites. Various studies show that people use mobile booking apps more to do last minute hotel bookings and this trend has made the demand of booking apps soar in the market, gradually. With the apps, the travelers can alter or cancel their hotel bookings with a click of the button and always pick the best deals and offers available in the market. Most of the travelers that need to book rooms in hurry prefer mobile apps, as the booking applications assist them evaluate through millions of (verified) customer reviews to make informed decision regarding any hotel property. Once a guest has booked a room through the mobile app, his/her booking details even get stored in the app, which they can access by signing in to the booking website of the service provider. Whether the map view of any hotel or the colorful photos of the hotel properties, the guests accessing the hotel booking apps can bookmark their favorites and even get to find information in different languages, based on their country preferences. The tech firm CRS Technologies India Pvt Ltd that offers innovative solutions to hotels, feels that the ‘ease of use and handy information’ are the plus points with booking apps. The popularity of booking apps among travelers is one big reason why many booking sites in the sector feel the urge to add up hotel inventories to their apps, so that the guests get to have the best search experience, all the time. 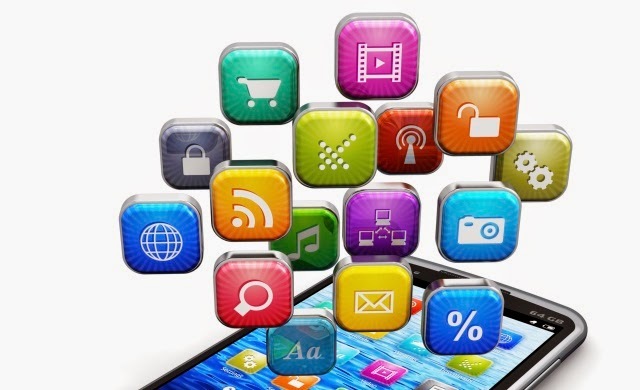 These booking apps integrate seamlessly with the bookingsystem of the hotel to offer better connectivity to the user. Whenever a guest clicks on to book a property, the booking apps redirect them to the hotelbooking system, making them reserve the rooms instantly, from there. Hospitality sector is one of the most competitive sectors, of today, with loads of players competing with each other for the bigger market share. To have higher occupancy rates all the season and business profits thereby are the prime objectives of companies in the Hospitality sector. In order to enhance online hotel bookings, the companies need to focus on some of these key aspects, enlisted below. By implementing these in their online strategy, the hotel booking sites will be able to increase sales. Let us look at those. Hotels can increase online sales and maximize revenues through their distribution channels. By associating with different channel partners, the hotels will be able to reach to the global audience and be able to drive traffic to their business from different sources. From the Channel Manager, the Hotels can determine that the property details are consistent across all the distribution channels and there are no discrepancies, whenever a guest is booking any property. Reviews, Ratings and Testimonials help the businesses figure out whether their customers are happy and if they are heading on the right track (or not). Thanks to technology, the Internet users can get to know about any company ‘ahead of time’ through easily available reviews of companies, online. People check these reviews first and based on those, they make favorable decisions further. Hence, it is necessary for Hotels to ‘make the best use’ of positive reviews that they get from their clients and need to publish those through different available mediums, blogs, social media etc. Every time after sales closure, hotels need to request the clients to find time with reviews. These positive reviews on the booking sites will hold the interest of many new visitors, booking through the site of hotel. Hotels can even integrate their social media profiles (e.g. Facebook) with their booking engines. The platform will work as a space for the followers (hotel customers) to share their experience and show approval by giving Facebook Likes to the business. WebCRS FB has been a similar concept, which is ‘well accepted’ by many companies in the hospitality sector. Thanks to Mobile Phones, booking the last moment is in the rage. Mostly business travelers do the last minute booking and it becomes very important for Hotels to hold the interest of such guests (and many others) with last minute deals, packages and offers. Hotels need to ensure that all their special ‘short time’ deals and offers are worth giving a thought by the last minute bookers. While visiting a Hotel booking website, majority of people expect to see options that could help them create a full package, viz. Hotel, Flights, Transfers (Car Rentals), Sight Seeing/Attractions and so on. Time is an important aspect, one reason why not many prefer visiting different sites to satisfy their booking/reservation needs. Hence, the Hotels need to make sure that their booking engine has the facility for guests to manage their ‘complete tour package’ from a single system with a click of the button. While serving the needs of guests through different distribution channels, it becomes necessary for the hotels to maintain rate parity across all the associated portals. If the details (availability and rate values) differ in all the sites, then that would confuse the bookers/guests and even show adversely on the booking process of the hotel. By leveraging Channel Managers, the Hotels can make certain that they have maintained rate parity across all the channel partner sites, to leave the guests with better booking experience. Thus, give a thought to few of the tips mentioned above to engage the hotel guests, to enhance online bookings and for maximizing business profits, like anything. Who would like to pay high commissions to Online Travel Agents (OTAs), if the Hotel guests make direct bookings often? Of course, companies operating in the hospitality sector have similar problems. If a hotel is associated with endless travel companies/agents, they require paying commissions for all of them for the traffic they receive, every time through them. Hotels can find a way around travel agents and make guests directly book with them. Here, is how. The guests need to have reasons to book direct with the hotel. Hotels can attract customers, by offering incentives and special packages to them. Thanks to technology, a majority of people stick to dotcoms (most often) for this and that. To entice people, hotels can extend the Free Wi-Fi offer (in the lobby and other regions of the hotel) to those who chose to book rooms directly, without going through travel agents or companies. This would work most of the times. However, as every customer is different and so be his/her needs and wants, the hotels need to test and try different offers and incentives to see what is working for their business, the most. Regarding the offerings (other than Free Wi-Fi), hotels can even extend free food/beverage offers to guests who do direct hotel bookings. In Bed and Breakfast hotels, the package includes food (in general), so free breakfast may not be a big deal for the guest. However, for hotels falling in other categories, they of course can extend a Free Breakfast offer to their hotel guests. A bottle of Champagne/Wine Free or Chocolates (if the kids involved) would bring smile on the face of many. Hotels can think of many novel ideas to make their guests feel special, whenever they book rooms directly with the hotel. Moreover, hotels can even offer free event tickets, which some may be interested upon. Everybody likes money saving packages. These attractive offers and incentives would of course give reasons to the guests to think of visiting the hotel, all the time they are on a vacation or a business tour in that region or locality. By extending the offers and incentives to their ‘loyal’ customer base, the possibilities are even that those customers would post positive reviews about the hotel, online. This way, the hoteliers would get more direct inquiries and hotel bookings from other (new) guests as well. Travel and tourism is one of the most competitive sectors of today, with many travel companies competing with each other for maximizing the business profits and for better market shares. For higher returns on investment, businesses need to put in efforts in the right places that could yield better results. Technology is the forefront of everything, in today’s business scenario and travel companies that want to enhance business outcomes should be quick in adopting the ‘most recent’ technology available in the market. Time is money and the guests approaching any travel company expect that agency to manage their itineraries in a particular period, without any delay. If the travel agencies fail to deliver results on time, then the prospects would most probably switch to other service providers in the market. Hence, the companies need to waste no time in offering services to the guests and that is possible only when the agencies have the best of technology, by their side. Managing bookings/reservations of guests on paper is an outdated affair and the travel companies that follow this approach (even today) may fall behind in the competitive market. In order to streamline their business operations, lower the operational cost, enhance productivity and efficiency of employees at workplace, for better and timely service delivery and for increased business outcomes – the travel agencies need to change with the current trend. The need of the hour for the travel companies is to stay ahead of the curve, by using the most up-to-date system and technologies for the business, to be able to stand tall against the market contenders and for better market share. It is never too late for the Travel Companies that want to make a shift from a paper-based office culture to a technology-oriented workspace. WebCRS Travel is an answer to them, as by leveraging the technology, companies in the travel and tourism sector (agencies, tour operators, trip planners and so on) can restructure their daily business activities, achieve better results by saving time, money and human efforts. By making the best possible use of WebCRS Travel technology, the travel companies will be able to reach larger markets, drive customers better by simplifying the reservation and booking processes and enhance the customer satisfaction levels, like never before. Technology is always a boon to the society and the agencies that want to be at the pink of success should not leave any stone unturned in adapting their business with the latest technologies available, in their specialized domain. The travel companies need to keep a watch on the emerging technologies in the sector and identify the best ones that could add value or have the potential of delivering better results for their business. One should not go after just any technology or system but should make the right choices and invest wisely. Businesses that chose WebCRS Travel had no looking back further and the travel companies that are thinking about adopting the CRS technology should not think twice to make the right decision for their business, to see it grow and scale new heights.